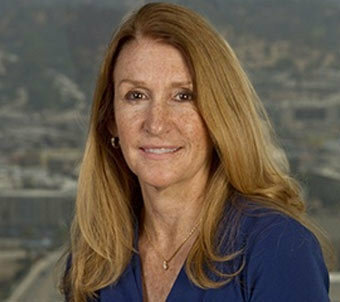 Lee Crawford Boyd is a principal in McKool Smith’s Los Angeles office. Lee is a transnational litigator and trial lawyer with more than 25 years of experience handling matters involving international law and foreign affairs, cross-border disputes, foreign property restitution law, international human rights, and complex commercial litigation and arbitration. She has represented clients in many high-profile disputes, including matters involving terrorist hijacking victims, international human rights, and restitution of cultural and private property expropriated abroad, among other cases. She also has significant experience representing plaintiffs in national and state class actions involving claims related to commercial contracts, intellectual property, employment, unfair competition and antitrust, among others. Lee has tried more than 30 cases, including jury trials, in New York and California, and argued more than 10 appeals in federal and state court. Before entering private practice, Lee was a tenured faculty member of Pepperdine Law School, specializing in International Litigation and Civil Procedure. She has also served in government as a criminal prosecutor in the New York County District Attorney’s Office and clerked for the Honorable Hector M. Laffitte, U.S. District Court for the District of Puerto Rico, and by designation to U.S. Court of Appeals for the First Circuit. Prior to joining McKool Smith, Lee was a partner in a national law firm and a founding partner of a litigation boutique in California. She is fluent in Spanish and conversant in French.